This guide to understanding audio effects aims to provide an overview of commonly used audio effects and basic ways they can be used to enhance your music. Audio effects are analog or digital devices that are used to intentionally alter how a musical instrument or other audio source sounds. Effects can be subtle or extreme, and they can be used in live or recording situations. 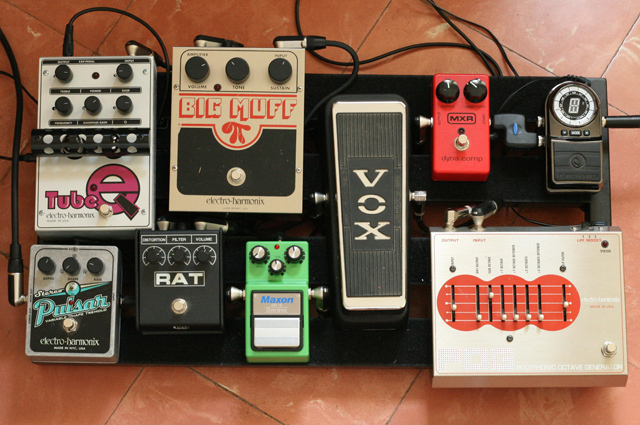 A good example of audio effects are the “stomp boxes” that many electric guitarists use to achieve their desired sound. By chaining together many different types of effects, a musician can sculpt a unique tone and enhance their music in many ways. Almost all popular music benefits from the creative use of effects, especially electronic music which makes liberal use of these devices. With proper treatment, audio effects can really bring your music to life and take the listener to new sonic spaces. Modern day effects are all a result of the evolution of technology and the advent of recorded sound. Around the Mid 1940′s recording engineers started to use reel to reel tape machines to create delays, echoes, and sound effects. In addition to tape, microphone placement and movement were found to create sounds that had not previously been recorded. In 1948 Harry DeArmond, creator of the first guitar pickup created the first stand-alone effects processor called the Trem-Trol by running the electric current of the signal through liquid to create a tremolo sound. This device was used by Bo Diddley and led to more development in the guitar industry of the 1940′s and 50′s where guitar amplifiers started to introduce vibrato and reverb effects. Reverb was initially created by driving an electrical signal into a metal plate or spring to create multiple echoes or reflections of a sound. Back in the studio, recording engineers started to use echo chambers to create echo effects or a unique tone to their recordings. Echo chambers were usually long, low rectangular spaces made from sound-reflective materials such as concrete. They were fitted with a loudspeaker at one end and a microphone at the other to create an echo effect that was used on many recordings to enhance vocals. As they were often custom-made, these echo chambers became the sound signature of a given studio at that time. As technology developed, many reverb devices allowed for an electronic re-creation of the echo chamber effect. Equalizers and compressors arrived in the studio in the 1950′s and 60′s with the Pultec equalizer, which defined the sound of many recordings of that era. Today’s audio effects devices come in both physical and digital form. Audio signals in an electrical format are processed by physical analog hardware whereas audio signals in binary format (digital) are processed mathematically by software. Both methods can achieve similar results. In the physical world, effects are usually rack-mounted devices that have cables running to and from a mixing board or they can be something like guitar effect pedals which receive a signal from the instrument and then alter the sound as it flows to a mixer. 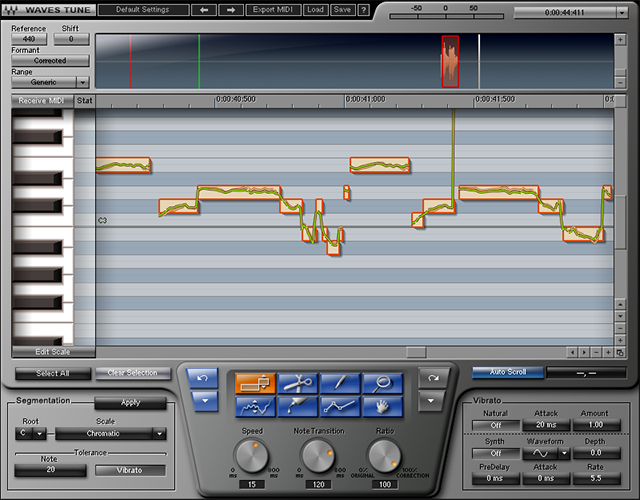 On the digital side, you can find effects in most music recording software packages. DAWs such as Ableton, Logic, Cubase, and ProTools all come with audio effects built-in. 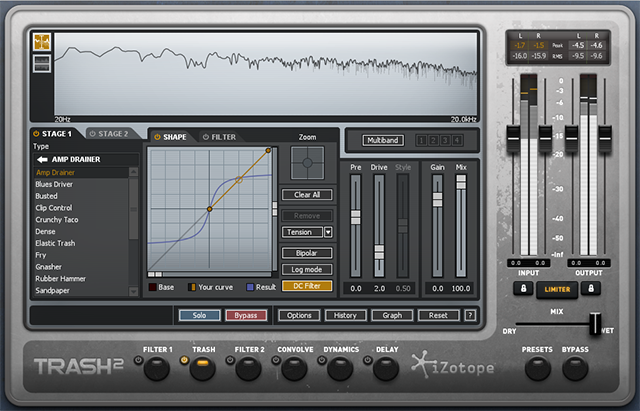 Other software packages like Reason, Maschine, Traktor, Audacity, Peak, and Soundforge come with audio effects as well. Audio effects are often simple devices that do one specific thing to a sound, although multi-effects processors are also popular for those who want many different effects in one package. It is also worth noting that many instruments, such as synthesizers come with effects built-in to the machine. Dynamics effects alter an audio signal based upon its frequency content and amplitude level; hence the term “dynamics” since the processing is program dependent and ever changing. 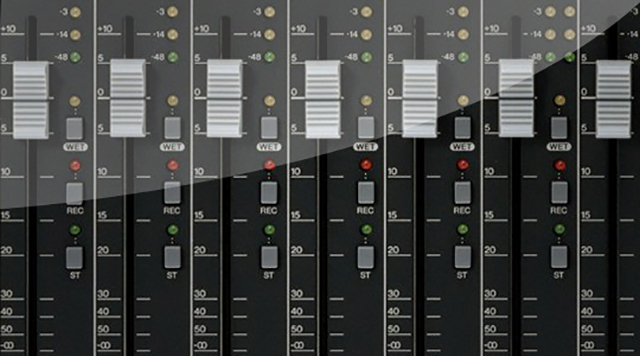 Dynamic effects can greatly enhance your mix, but they are sensitive devices that require attention to detail. The four most common dynamics effects are compressors, limiters, gates, and expanders. Compressors reduce the volume of loud sounds or amplify quiet sounds by compressing an audio signal’s dynamic range. Compressors are often used to make recordings and live mixes sound more polished by controlling maximum levels and maintaining higher average loudness. In addition, different hardware and software compressors have their own signature sound that can be used to introduce pleasing coloration and tone into lifeless tracks. Compression can also be used to subtly massage a track to make it more natural sounding and intelligible without adding distortion, resulting in a better sounding mix. Limiters are a type of compressor designed for a specific purpose — to limit the level of a signal to a certain threshold. Whereas a compressor will begin smoothly reducing the gain above the threshold, a limiter will almost completely prevent any additional gain above the threshold. They are commonly used to increase perceived loudness or used as a safeguard against signal peaking (clipping). Limiters are often used in conjunction with a compressor — the compressor provides a smooth roll-off of higher levels, and the limiter provides a final safety net against very strong peaks. A noise gate or gate is used to control the volume of an audio signal. Comparable to a compressor, which attenuates signals above a threshold, noise gates attenuate signals that register below the threshold. In its most simple form, a noise gate allows a signal to pass through only when it is above a set threshold. They are often used to reduce noise artifacts like a hum, hiss, and vocal pops. Expanders are used to increase the dynamic range of an audio signal. They perform the opposite of how compressors work by reducing the volume when the signal level falls below the threshold and increasing the volume when the signal level goes above the threshold. Expanders are often used to make quiet sounds even quieter on mixes to fix noisy recordings. Distortion effects are great to recreate the harmonically pleasing sound of analog or digital distortion. Distortion or saturation effects typically simulate the sound created by vacuum tubes, transistors, or digital circuits. Vacuum tubes were used in audio amplifiers before the development of digital audio technology, and they are still used in musical instrument amplifiers today. When overdriven, they produce a type of distortion that many people find musically pleasing. Analog tube distortion adds a distinctive warmth and bite to the signal. There are also distortion effects that intentionally cause clipping and digital distortion of the signal that is sometimes gritty. These effects can be used to to radically transform any type of audio to produce an intense, unnatural effect, or to create sound effects. Applying distortion or saturation is an excellent technique used to fatten up sounds and help them cut through a mix better as well. Time-based effects alter the timing of a signal which can create short or long bursts of sound. They are often used to shape the depth and dimension of sounds within the mix. Common time-based effects include delays and echoes, reverbs, choruses, flangers, phasers, pitch transposers, and harmonizers. Each type of effect manipulates and modulates the signal over time in their own unique way. Essentially, they capture a portion of an input sound, delay it slightly, then play it back. The lengths of time for which they delay the sound, as well as in the complexity of the resulting delays are the main differences between the various types of time-based audio effects. 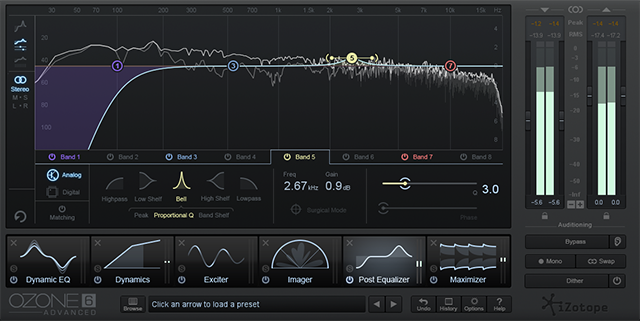 Filter effects are simple, ubiquitous audio tools that should be a part of every producer’s arsenal. Their purpose is to alter the frequency content of an audio signal. They are used to emphasize or suppress frequencies in an audio signal, resulting in a change to the tonal color of the audio. There are a variety of advanced filter-based effects that can be used to creatively modify audio. There are also a variety of filter types including lowpass, highpass, bandpass, notch, and special morphing filters. A lowpass filter (LPF) attenuates content above a cutoff frequency, allowing lower frequencies to pass through the filter. Lowpass filters are used to remove high-frequency content. A highpass filter (HPF) attenuates content below a cutoff frequency, allowing higher frequencies to pass through the filter. Highpass filters are used to remove low-frequency content. A bandpass filter passes frequencies between its two cutoff frequencies, while attenuating those outside the range. The opposite is a band-reject filter which attenuates frequencies between its two cutoff frequencies, while passing those outside the ‘reject’ range. Note: Equalizers (EQs) are also a type of filter. However, they are typically not used as creative effects, but rather a tool to refine the frequency spectrum of a sound or mix. Modulation effects are more complex and are often used to add motion and depth to your sounds. Modulation involves modifying a source signal by another source. Effects such as chorus, flanger, phaser, ring modulator, and frequency shifter are well-known examples. Modulation effects typically delay the incoming signal by a few milliseconds and then use an LFO to modulate the delayed signal. The LFO may also be used to modulate the delay time in some effects. There are also modulation effects that involve pitch. The most basic types of pitch modulation effects are vibrato and tremolo. These type of effects use an LFO to modulate the frequency of the sound. Typical pitch and time effects include pitch shifters and harmonizers. These effects modify the pitch of a sound by adding new frequencies to a signal or by simply altering the pitch by a pre-designated musical interval (transposition). Pitch shifters are used to raise or lower an audio signal by octaves or a range of interval alterations. For example, a pitch shifter set to increase the pitch by a fifth will raise each note seven intervals above the notes being played. A harmonizer is a type of pitch shifter that combines the “shifted” pitched note with the original pitch to create a two or more note harmonies. Pitch correction is another common use of pitch shifting used by auto-tune effects to correct inaccuracies in a vocal recording or live performance. You will learn to mix and master your tracks using the same plugins that top industry engineers use every day, including plugins by Izotope, Soundtoys, Sonnox, Altiverb, and more.